Vincent van Gogh seems to endlessly fascinate us. We love his art and feel so attached to him as a person. Perhaps we’re moved by the admiration and respect for common men and women that underlie so many of his works. Perhaps it’s the vulnerability that we perceive in him as a human being, based on accounts of his life and personality. The most recent van Gogh biography, a New York Times bestseller, is nearly a thousand pages long–we just can’t seem to get enough. In spite of this intensive, longstanding interest in the Dutch artist (or perhaps because our knowledge is obscured by the mythology that’s grown up around him ), much remains to be learned about how van Gogh actually worked. The time has come to take a closer look at his process. Last spring, the Philadelphia Museum of Art examined his working methods toward the end of his brief, ten-year career in Van Gogh Up Close . Then in the fall, the Denver Art Museum mounted Becoming Van Gogh, an in-depth look at the artist’s influences and evolution. 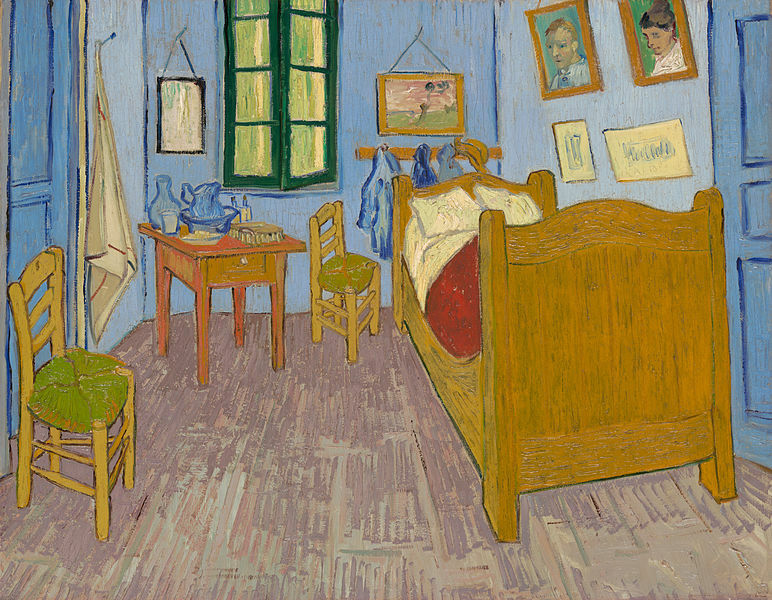 Now at the Van Gogh Museum in Amsterdam, Van Gogh at Work brings forward new insights, gained through years of conservation analysis, into the artist’s materials and methods. Soon the Phillips adds its own distinctive voice to this groundswell with Van Gogh Repetitions, an exhibition opening this October that invites very focused study into a specific aspect of van Gogh’s process–his practice of making more than one version of certain subjects. His bedroom, his friends, the weavers and road menders whose labor he so admired. Perhaps by visiting this exhibition we will all learn a bit more about what fascinated him and drew him back in again and again. This entry was posted in Exhibitions and tagged Process, repetitions, Vincent Van Gogh. Bookmark the permalink.